Dr. Stephen Sylvester is a former Board member of the Minnesota Committee for the Humanities and Humanities Montana, and a current member of the Humanities Montana Speakers Bureau and Speakers in Schools. Dr. Sylvester holds a doctorate in American History and Journalism from the University of North Dakota. He has lectured at MSU Northern, Peru State College, Nebraska, the University of Minnesota Crookston, and the University of Hawaii and Alaska to name a few. 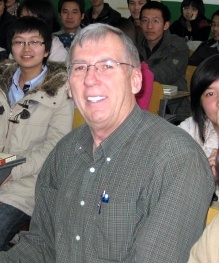 He has conducted more than 80 field trips along the Lewis and Clark Trail, and has traveled extensively as he studied social, political, and econmonic changes in China. ​Dr. Sylvester is sponsored by The Crimson Bluffs Chapter of the Lewis and Clark Trail Heritage Foundation and a generous grant through Humanities Montana. For more information about Humanities Montana click on Humanities Montana. The Lewis and Clark Expedition travelled up the Missouri River across Montana, Idaho, and Washington, to the Pacific Ocean and back in one of America’s best-known and least understood adventures. What did the Corps of Discovery actually accomplish? What did the expedition mean to Americans at the time and later? What specific activities were important then that are less important now? How has technology affected such things as weapons, travel, food, and communication? Participants engage in a lively discussion of what the journey was actually like and what its successes and failures were and are. Currently there are no speakers scheduled for 2018, however plans are in the works for a presenter to visit the Townsend area soon (keep checking this website). We try to have one or two speakers a year present their unique prospective on Lewis and Clark Corps of Discovery intrests. 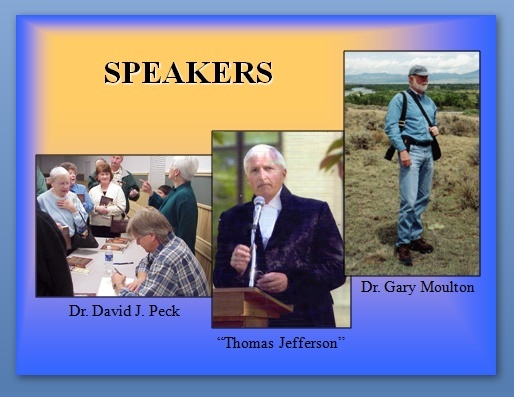 Most speakers are chosen through the Humanities Montana Speakers Bureau program.